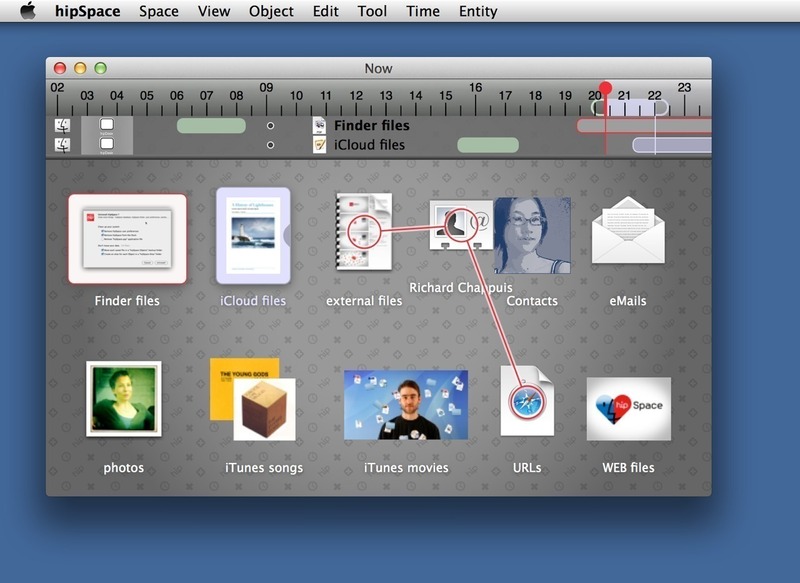 View files on a timeline. Is there a better alternative to hipSpace? Is hipSpace really the best app in Productivity category? Will hipSpace work good on macOS 10.13.4? hipSpace gathers and visualizes information of all kinds in workspaces. 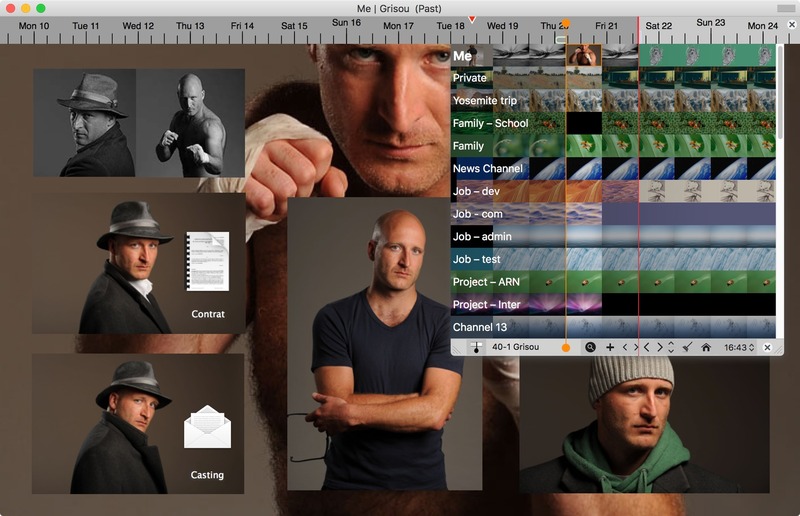 HipSpace version 2 allows you to use as many workspaces as you want to create. The previous version organized these workspaces horizontally on the time axis, in a stream called a "Channel"; the current version organizes your workspaces vertically in as many Channels as you want to create. You can quickly find your information by navigating in time and space, simply by moving the pointer horizontally and vertically. You visit countless workspaces gathering the different information specific to the activities of your digital life. hipSpace needs a rating. Be the first to rate this app and get the discussion started! HipSpace is free to use for the first two months. Further use requires a subscription. The published price is that of a six-month subscription. View full pricing info.